The first frost has hit the farm, but only in spots.. got to love microclimates.. a little bit here and little bit there .. my poor squash yield for this year is enough to make me cry..
Are you ready! 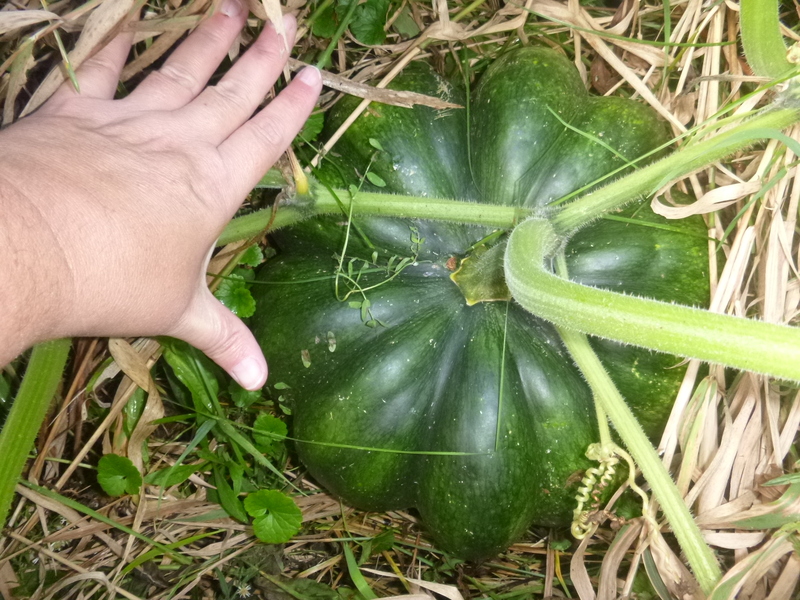 I planted 160 seeds of different squash and pumpkin in six different areas and gardens, of them.. I had only 26 come up in the drought and they grew a tiny bit and then just sat there.. no growth, no runners, no flowers..
Then the aug rains came and the plants took off! first they sent out runners then came the male flowers and finally the female.. o so many female flowers.. on some of those plants, over 15 plus female flowers on the vines now, and there are dozens of itty bitty wee squash starting but out of those 26 plants, I am getting.. Two.. yup.. that much space given, that many rows made, that many rare (some very rare) heritage seeds, some amazing land race butternut squash and even with my hugelbed this year.. I am getting 2! squash.. I mean it.. hmmmm, now what.. what are my choices.. well the first thing I did was take a look at squash at the farmers market and then I signed and shook my head and walked away.. small squash that ranged 3 to 5 dollars to larger that cost upwards to 40 each..
Ok, then, so much for the idea of buying local from anyone around me.. not going to happen, they had as bad of a year as I did and the prices reflect it.. I can NOT afford to buy at those prices. So lets look at the stores.. SCORE.. my one local store had very nice field pumpkins for 97 cents each, big ones.. not perfect for what I want but useable for sure.. I snapped up a dozen, but then I found pie pumpkins for a dollar.. much better.. I grabbed a dozen for processing..
but what about the real stuff.. the squash.. well so far.. nothing yet. I am watching and the time is passing me by but so far.. no bins of butternut or acorn squash or any other yet.. I am watching for it.. I want local Ontario grown of course.. We will see if I find any or not.. 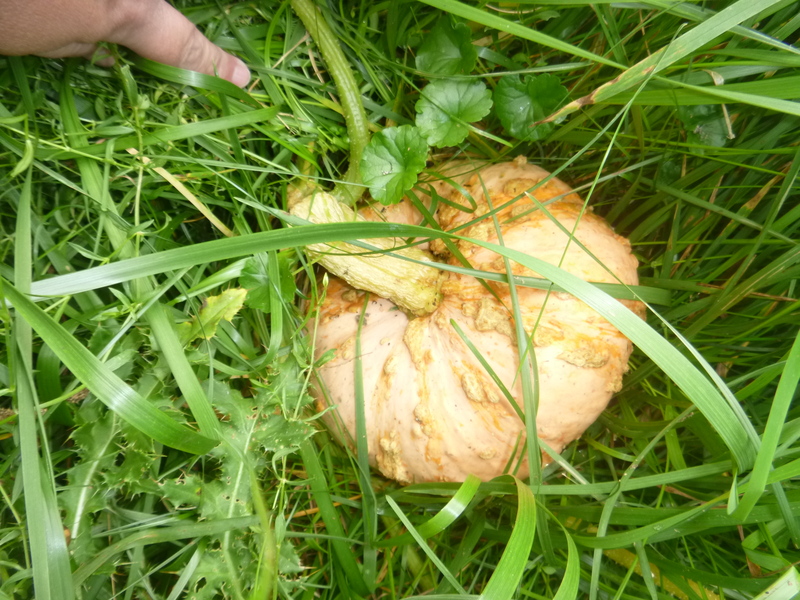 So I looked at hubby and said, well its a very good thing I put up a extra years worth of butternut squash last year when I had lots to do so.. I have 48 pints of farmgal butternut in the pantry, enough that if I never find any local at the store, never find any sales, I will be ok.. that’s is the point of a canning.. if I had just cooked and mashed and froze them, then they would be to old in the freezer but in the jars, they are perfect, and as long as I budget them, I can have regular squash for different uses till next years crop.. I got a great deal on local carrots, I picked up and processed over a hundred pounds worth, other then some fresh ones over the winter they are done for storage for the winter. I have said it before and I will say it again.. when you have a good year.. plan and put up a average two year supply into your canning pantry, because you never know what the garden is going to do! This entry was posted in gardens and tagged Canning, Garden, sqaush. Bookmark the permalink. So true. Put up twice as much. Ooops, it sent before I was done…we try to do that too, but sometimes it is hard. Very hard indeed, and I learned the hard way from the drought of 2012 that it took me three years to grow and harvest and can back up to my 2 year mark.. that is why this year, I am willing to look for local Ontario grown products to put up even some to help off-set the usage. I do the same – two year supply if possible – even with things I purchase like sockeye salmon. I always get as many as I can afford to get, some years they shut the fishery down early and they are scarce. I think you should let those 2 squash grow to complete maturity and harvest the seed for 2nd generation. Go buy some squash that was raised elsewhere for home canning.